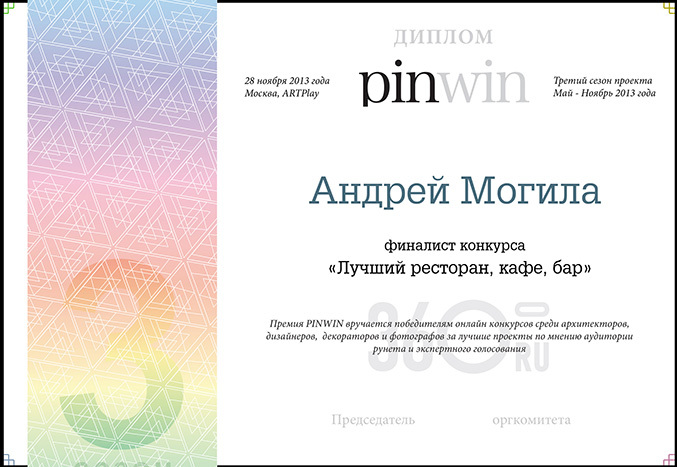 PinWin organized a competition on 28 November, 2013 in Moscow. They reward the best designers, architects and decorators according to "Ru.Net" network users and experts. Andrey Mohyla won in the nomination "Best Restaurant, Cafe, Bar" where he presented his Yoshi Fujivara Restaurant Project.